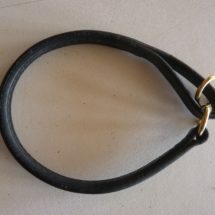 The style of this collar allows for a few inches of tightening when pulled, a limited choke action. Should push over the head snug and when tightened prevent slip out. 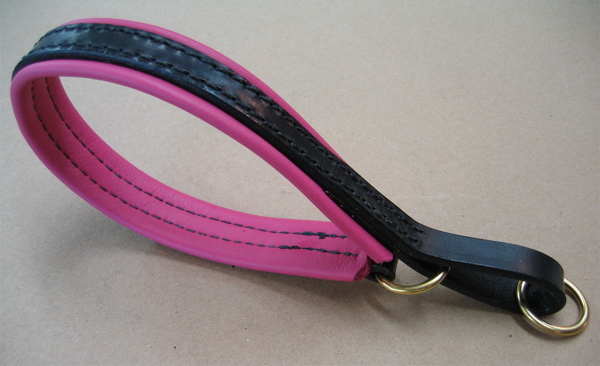 Comes aprox 1 1/8″ wide w/Pad and narrower on the 12″ size. 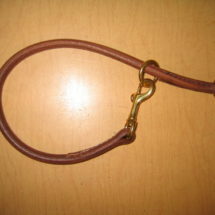 Available in many soft cowhide pad colors.Comes with Solid Brass or Chrome Hardware. Specify exact measurement during checkout. 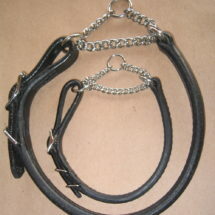 The style of this collar allows for a few inches of tightening when pulled, a limited choke action. Should push over the head snug and when tightened prevent slip out. Comes approx. 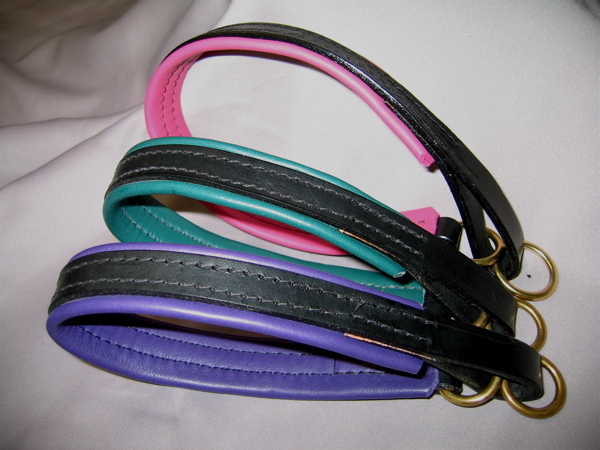 1 1/8″ wide w/Pad and narrower on the 12″ size. Available in many soft cowhide pad colors. Comes with Solid Brass or Chrome Hardware. Specify exact measurement during checkout. 12"x1/2", 14"x1/2", 16"x5/8", 18"x5/8", 20"x5/8", 22"x5/8", 24"x5/8"